We have been working to imagine what AR and AI might look like as an integral, useful part of your life. Over the past year, we’ve developed a new iOS app, Homestory, which takes AR to the next frontier: helping you make complicated home furnishing decisions easier — with the power of AI. We’ve focused on making Homestory simple to use and making sure it gets out of the way of the process: it isn’t about the technology, AR, or even the phone. At its core, it’s about helping you design a more comfortable, happy home. To get started, it’s as easy as opening the app, scanning your room using your iPhone’s camera, and tapping our AI assistant to furnish the space for you. Homestory does the rest, working magic behind the scenes to come up with a combination of options that would fit into the space you have available. With accurate 3D models from the collections of thousands of top furniture brands — including HAY, Vitra and more — you can test out how that new coffee table or rug might look in your home before committing to it (or venturing out to the store). Today’s release opens up new possibilities for people around the world to create — and dream of — a home that suits them, without the overwhelming experience of trying to imagine how a particular piece of furniture might fit into a space. 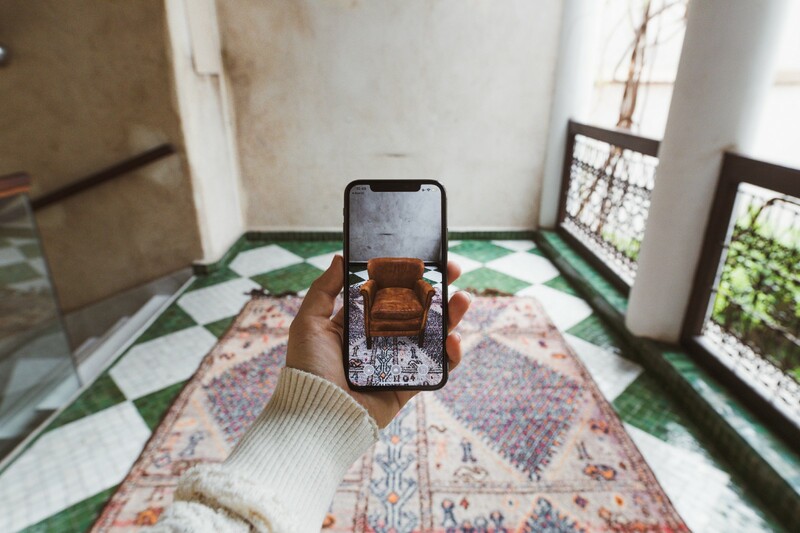 By combining artificial intelligence with modern Augmented Reality techniques, we’re able to show an accurate 3D model of the furniture in the environment that it might ultimately be purchased to live in for years to come. The AI assistant is designed to inspire and delight, by helping you discover millions of combinations of furniture that would otherwise take weeks to see by visiting stores all over the country. Homestory is available for free today, for iOS 11 and up, on the iPhone 6s, 7, 8 and X. For more on how we built the app and the people behind the scenes click here. Originally published at homestory.blog.